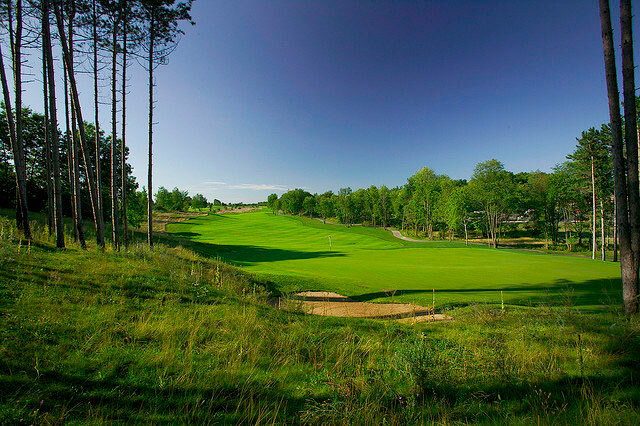 If you are looking for a low key vacation spot where you can enjoy your days at leisure visiting boutique wineries, relaxing on low traffic beaches, golfing, browsing antiques shops, and quaint art galleries and museums pack your bags and head to Harbor Country Michigan. 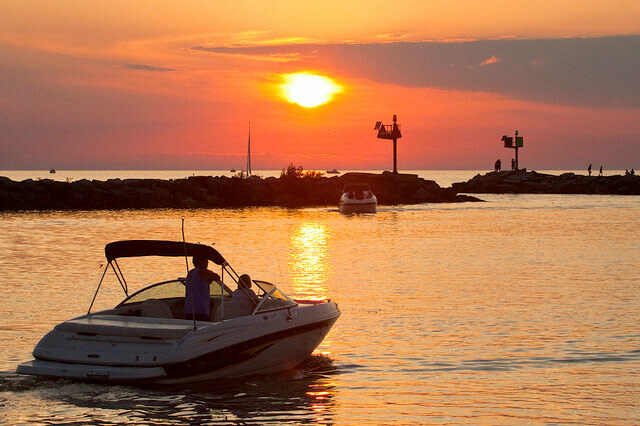 Harbor Country consists of 8 small towns along a 15 mile stretch of the eastern shore of Lake Michigan. Whether you visit in the winter, summer, or anywhere in-between this is an excellent choice for a relaxing get away. This ranch style country house sits on a full acre and a half of traditional Michigan Prairie. The Harbert House is the perfect selection because it features country charm in newly remodeled accommodations. This B&B has five spacious guest rooms with private bathrooms and large common areas to relax in during the day. A hot breakfast is served each morning and as an added perk you can enjoy afternoon hors d’oeuvres served with local wine. If you are looking for a happy medium between a B&B and a traditional hotel and are traveling with a large group the Sandpiper Inn is the perfect pick. The Sandpiper is a 9 bedroom, 10 bathroom 7,000 square foot home that you can rent for your stay. It rests on a private beach and each bedroom has an en suite with a Jacuzzi, fireplace, sitting area, and a private screened in porch. This is the perfect spot for a comfortable group vacation that affords all of your guests their valuable privacy. There is a full kitchen with the basic cooking utensils you need to cook your favorite dishes or you can arrange catering or a private chef during your visit. Many locals rent out their vacation homes when they are not in use. To find a cottage or home for your stay in Harbor Country contact a local realtor or visit Harbor Countries website for a listing of vacation rental brokers. For a more traditional hotel selection stay at the Harbor Grand Hotel. This boutique hotel has fireplaces and whirlpools in each room and all rooms have lakefront views. You can arrange for their daily breakfast in bed service, dine at their onsite lakefront restaurant, and enjoy complimentary coffees and teas with locally roasted coffee beans by Uncommon Grounds from Saugatuk, Michigan. Since the accommodations in Harbor Country are quaint there are several spas in town that offer the pampering and relaxation your lodging accommodations are not able to provide. For your luxury spa services visit Harbor Country Day Spa, New Buffalo Spa, or for private yoga and meditation visit Dancing Feet Yoga. Domaine Berrien Cellars—Has outdoor spring and summer seating and specializes in traditional dry reds like Syrah and Rhone varietals. Free Run Cellars—They have small selection but a distinct style including an impressive dry Riesling. 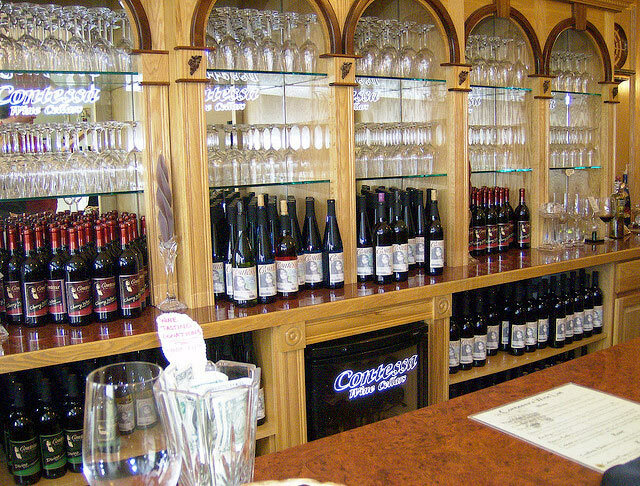 Hickory Creek Winery—Focuses on classic European wines and their signature Bordeaux Blend. Lemon Creek Winery & Fruit Farm—Has a large selection of specialty wines that are hard to come by like ice wine and spumante. 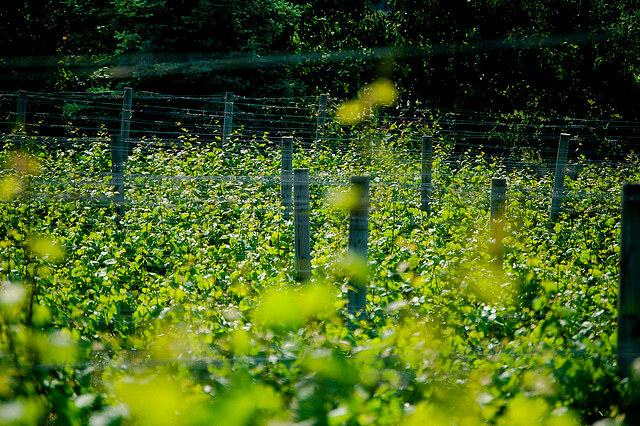 They are creative and use an array of local fruits in their wines. Round Barn Winery—This is a winery and brewery in one, and one of the few places you can purchase a real life “jug” of beer. They are also the home of DiVine Vodka which is one of only four vodkas in the world made from grapes. St. Julian Winery & Tasting Room –Another winery boasting unique finds such as vodka distilled from grapes, cider ales, brandies, sparkling wines, and local fruit filled blends. Tabor Hill Winery—This winery just launched a new dessert wine selection to compliment their traditional blends. They also have a can’t miss fine dining restaurant that features their traditional blends. Each town in Harbor Country has its own selection of antique shops, artist’s galleries, local jewelers, and small boutiques. The pleasure of shopping in such quaint areas is that you will find unique pieces not available to the mainstream including the boutique of Chicago fashion designer Elise Bergman. The entire 15 mile stretch of Harbor Country Michigan is lined with beaches, forests, and parks giving you plenty of options for outdoor activities. Be sure to stop by Warren Park during your visit which is known for its massive sand dunes. If you are visiting during the summer you can participate in water sports and in the winter you can cross country ski if there is enough snow on the ground. If you are an avid hiker or bird watcher you will enjoy the hiking trails and local wildlife. If you enjoy biking you will be happy to know that most of your accommodations in Harbor Country include bicycles and helmets for your personal use. You can bike up and down the trails along the beaches or bike to the nearby shops and restaurants. If you are looking for some night life on your vacation you are within a short drive from The Four Winds Casino for gambling, live entertainment, and nightlife.